Peng Haibo, the director of HUAWEI terminal, said that the AI era is getting closer and closer to us, and mobile phones are getting smarter and smarter. The lens and the smart processing center of mobile phones will be the next hot spot for the industry. A variety of technologies that make the lens of the phone brighter and clearer and that enhance the data intelligence processing capacity will emerge one after another. Major smartphone technology providers, such as KYOCERA, Murata, and CITIZEN, will attend the exhibition along with several domestic technology providers, such as HOLITECH, Shineway, ECT, Tri-ring, and more. These companies will showcase the latest smartphone technologies, such as full screen, face recognition, 3D sensing, wireless charging, new materials and processes, and more. In addition, attendees will be able to see the technological preparation providers have made to develop more diversified markets, such as automotive electronics, the Internet of Things (IoT), etc. Smart home furnishing, AI, and application of Internet of Things (IoT) will be among the fascinating topics of ELEXCON 2017. More than 1,000 products and solutions related to smart home furnishing, smart hardware, sensing technology and wireless communication solutions will be displayed at the exhibition. For various exhibitors, sense technology has become a competitive hot spot, which includes miniature blood flow sensor developed by KYOCERA; MEMS sensor and NCU series patched temperature sensor bed provided by Murata; vibration feedback module and multi-sensor integrated module of IoT developed by Alps; solutions to deal with wireless module, sensor node and gateway problems offered by SunTec; and so on. Miniature blood flow sensor, a microcomponent to detect blood flow noninvasively, has adopted ceramic package based on the principle of Laser Doppler. Plenty of colorful forums related to smart home furnishing, medical electronics, and IoT will be held in the exhibition. Hot topics include global access laws, regulations and certification strategies of IoT products, the impact of sharing bicycles on Internet of Things (IoT) and the semiconductor industry, wearable body sensor network, sublime words with a deep meaning “laser radar” and more. Automobiles will be a hit in ELEXCON 2017. All key technologies and solutions to smart driving and car networking can be found in almost every booth in the exhibition. For instance, Kyocera AI rearview camera under research and development stage will be able to identify people, cars, bicycles, motorcycles, etc., which will make drivers safer. “EV & AUTOTRONICS CHINA EXPO” will be held in the same period at Hall 9 of Shenzhen Convention & Exhibition Center, which will bring together the most important technology providers of the new energy vehicle area, such as BYD, INVT, Inc Rense, SELMAG etc.. These providers have fully involved in presenting the three major electric vehicle systems including motor control, battery, charging piles and other electric control elements. Over the same period, there will be wonderful automobile-related events, such as “All Schools of Car Networking Forum” sponsored by Shenzhen Automotive Electronics Association, “Main Technology Conference of Electric Vehicles”, “Roundtable of Electric Vehicle Total”, etc., will be held. Dr. Shao Geliang, an expert in the industry, will probe into “Research on Magnetic Components of New Energy Vehicle and Their Development Trend “, which has gained much attention. On the occasion of the opening of the exhibition, engineers have been flexing their muscles to seize all series of training courses in the exhibition to prepare for 2018 career development. There will be abundant training during this year’s exhibition, such as quick charge of century power training, medical equipment EMC electromagnetic compatibility training, “Technical Analysis of High Speed Digital Connector” organized by TECA; “Series Research Courses of Electronic Manufacturing Technology” made by EMAsia and ZTE Electronics Manufacturing Vocational College; ” Development of 2.4G RF Wireless Technology” delivered by ATE Electronic Technology Application Organization; “2017 TI Embedded + Analog + Application-level Detailed Solution Annotation”, and more engineers can choose training now. 2018 is coming, so how to get a closer look at the latest trend of the global electronics market in 2018? The upcoming ELEXCON 2017 offers you an excellent opportunity. More than 350 leading global technology providers, more than 20 forums, hundreds of experts of the industry will provide you with the best answer in 2017 ELEXCON. Creativity Convention & Exhibition, the organizer, revealed that more than 50,000 professional visitors of the industry would attend the three-day exhibition. At present, the pre-registration channel of the exhibition has been opened. Pre-registration can not only avoid the troubling of queuing, but also draw surprise gifts. 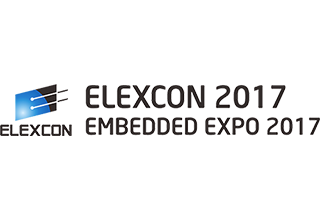 You can pre-register through the official registration channel of the exhibition www.elexcon.com or you can search Subscription ELEXCON and pre-register in Wechat, which is more convenient.